To switch on your quotations in Pandle, head to Document Settings > Quote Options. From here you can switch on quotations and specify the default text at the bottom of your quotes when you create them. This can be overwritten at the point of creating a quote if needed. Once you have switched quotes on you can then set your template. This is the same design used for your invoicing, so if you have set up your invoicing already you can skip this step. In the same menu, select 'Design Options'. From here you can upload your company logo which will appear on your quotations. You will then be presented with a form to enter the quotation details. 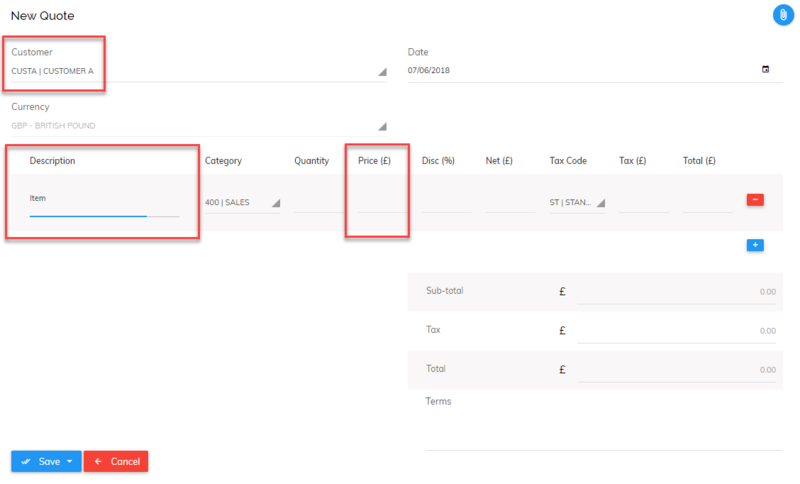 Select the customer name (you can add one here if the correct customer is not in the list), a description and the amount. If you want to mention units such as hours, days, items etc. 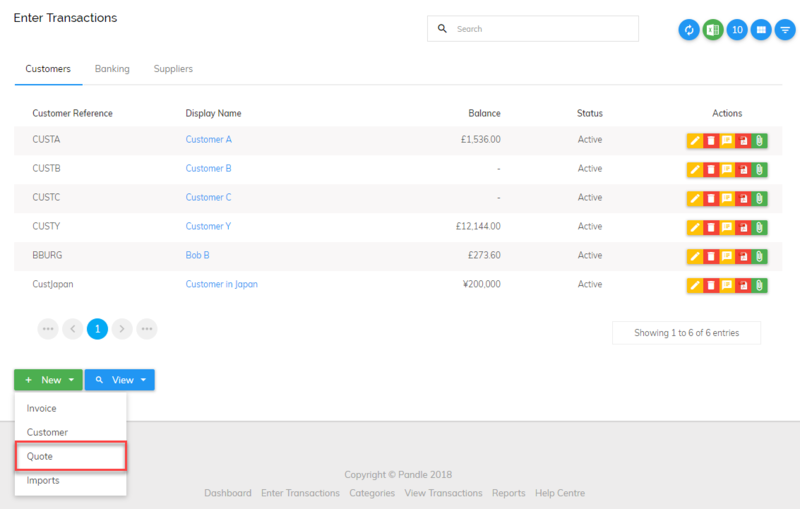 then this can be added in the invoice settings. Save and next: saves the quote and starts a new one. Save and view: gives further options such as converting the quote into a PDF or sending the quote to your customer. Save and finish: saves the quote and quits. To view your quotation go to Enter Transactions > Customer Tab > View > Quotes. 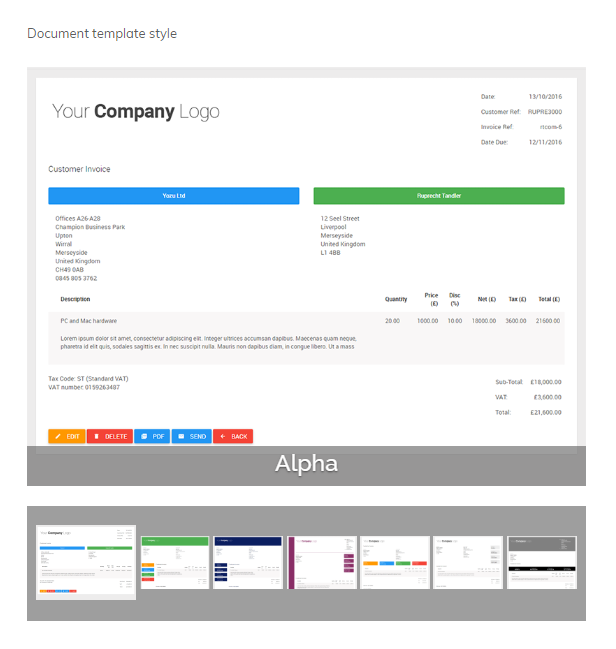 Convert the quote into an invoice. Once you have done this you can then send the invoice to your customer. There are also action buttons on the right which allow you to quickly, edit, delete, print, send or convert the quote in PDF format.